Ford will unleash the most powerful production Fiesta this summer, with the ST200 finally being confirmed for the UK market. The 143mph super hatch will cost £22,745 when it reaches showrooms this summer and be capable of covering 0-62mph in just 6.7 seconds. 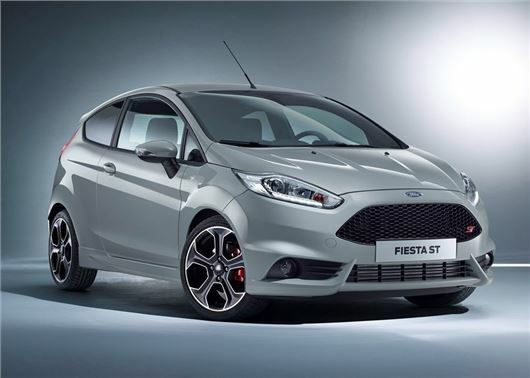 ﻿First seen at the Geneva Motor Show 2016, the ST200 celebrates the 40-year anniversary of Fiesta, with more power, more torque and a higher top speed over the standard 182PS ST. The Fiesta ST200 features a specially calibrated 1.6-litre EcoBoost petrol engine to produce 10 per cent more power and 20 per cent more torque, with 200PS and 290Nm. The 0-62mph sprint has been lowered to 6.7 seconds - 0.2 seconds quicker than before - while the top speed has been increased by 4mph to 143mph. As well as more power, and better in-gear acceleration, the ST200 benefits from sharper handling, with stiffer, retuned suspension and optimised steering. As you might expect, that extra performance comes at a price when it comes to fuel economy, but it is not as high as you might think, with Ford claiming 46.3mpg and 140g/km CO2 emissions, which is a 1mpg and 2g/km change over the standard Fiesta ST. The ST200 is offered in just one paint scheme - Storm Grey - with 17-inch ST alloys wheels in matt black and red painted callipers. All ST200s are finished in the same body kit as the standard ST, although the interior gets some subtle changes, with partial leather Recaro front seats, contrasting silver stitching and illuminated scuff plates embossed with ST200 logos.